US SCIENTISTS HAVE been able to help blind mice see again by injecting a chemical that makes them sensitive to light, according to a new study. The findings in the journal Neuron offer hope of a treatment that could one day help people who suffer from the most common forms of blindness, such as macular degeneration and retinitis pigmentosa. The chemical is called AAQ and works by making cells in the retina sensitive to light, said lead researcher Richard Kramer, University of California Berkeley professor of molecular and cell biology. The advantage of this approach is that it is a simple chemical, which means that you can change the dosage, you can use it in combination with other therapies, or you can discontinue the therapy if you don’t like the results. As improved chemicals become available, you could offer them to patients. You can’t do that when you surgically implant a chip or after you genetically modify somebody. It is unclear how well the treated mice could see, but researchers could tell the chemical had an effect because their pupils contracted in bright light and the mice displayed avoidance of light. The mice in the experiment had genetic mutations that made their rods and cones die within months of birth. “This is a major advance in the field of vision restoration,” said co-author Russell Van Gelder, an ophthalmologist and chair of the Department of Ophthalmology at the University of Washington, Seattle. Researchers said they are currently working on a next-generation chemical compound for the next step of experiments in mice. Email “Three blind mice? New chemical helps sightless mice to see – US study”. Feedback on “Three blind mice? 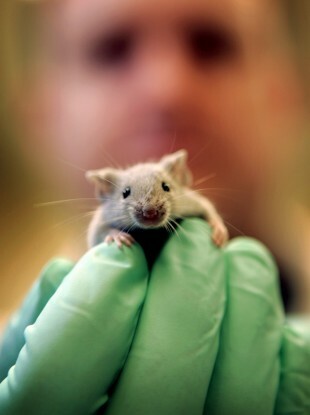 New chemical helps sightless mice to see – US study”.